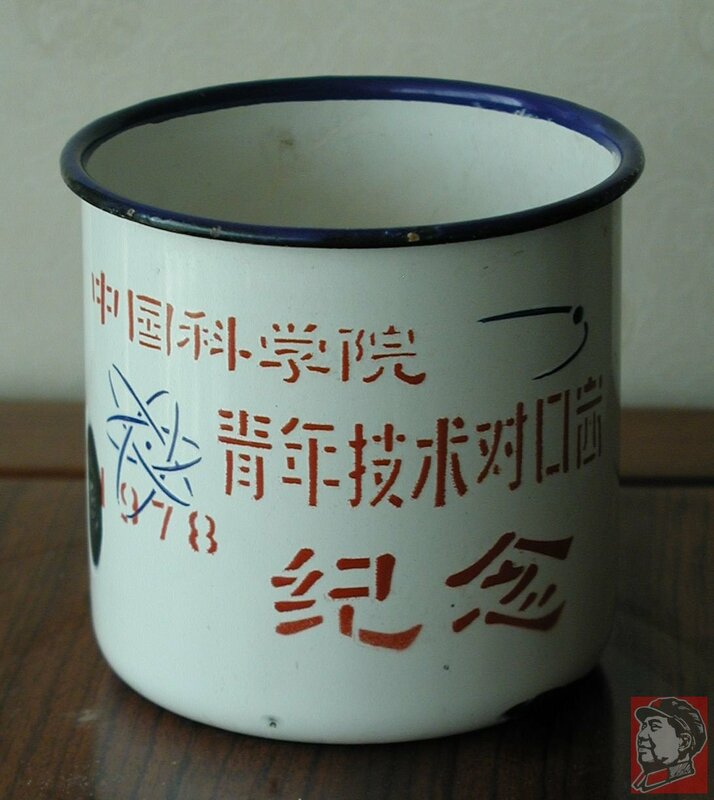 This cup was issued by the prestigious Chinese Academy of Science in 1978. 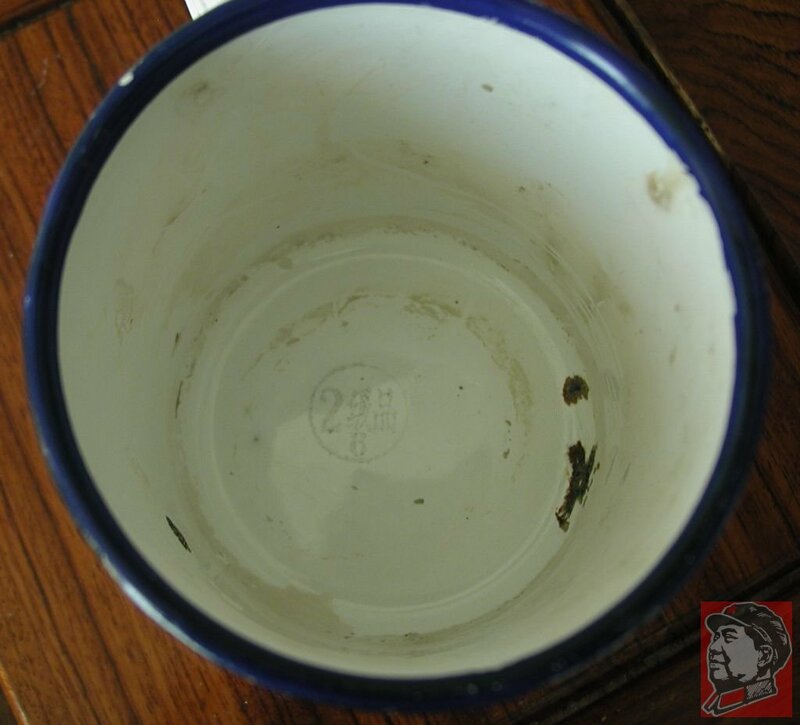 Rather unusual is an inside bottom cup stamp. 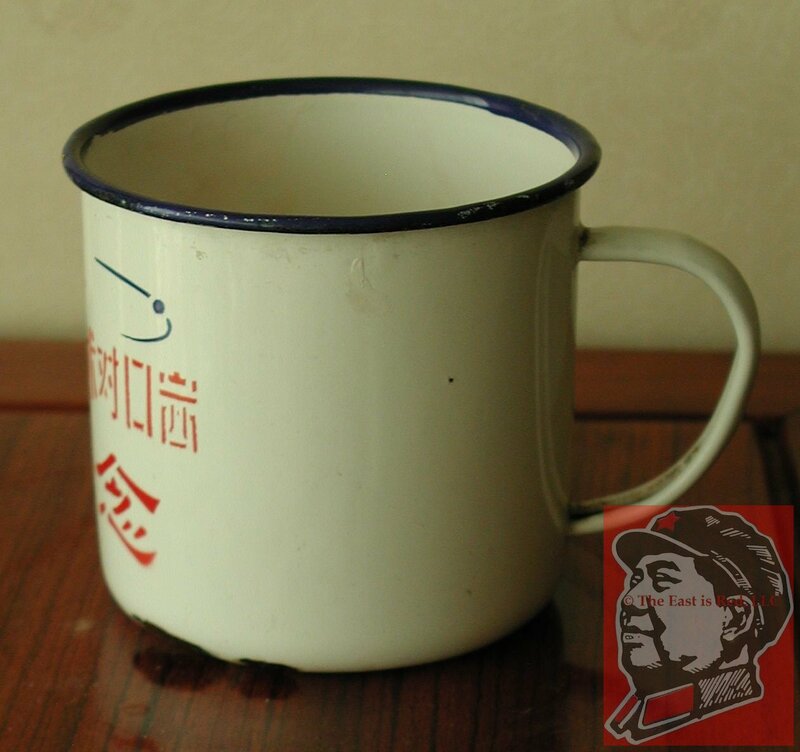 The cup is 9cm (3.5 inches) high and 10cm (4 inches) in diameter. 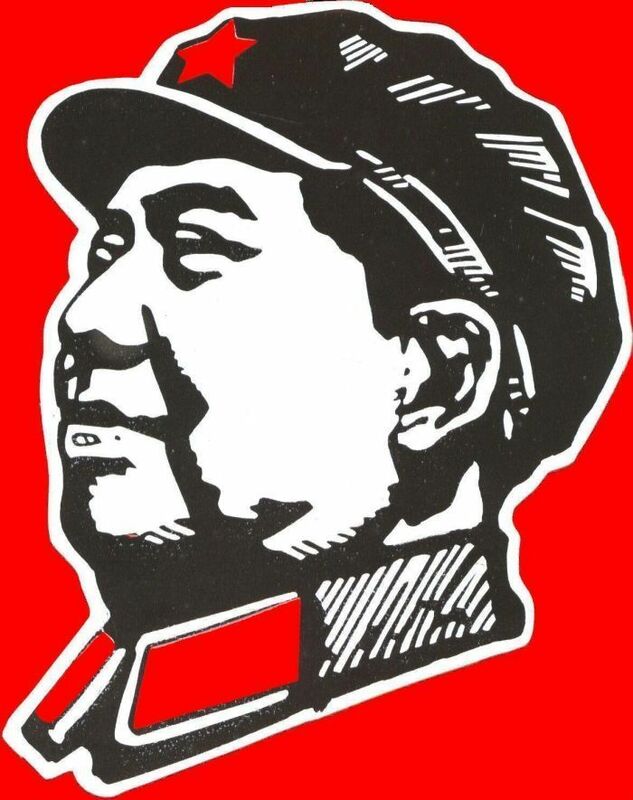 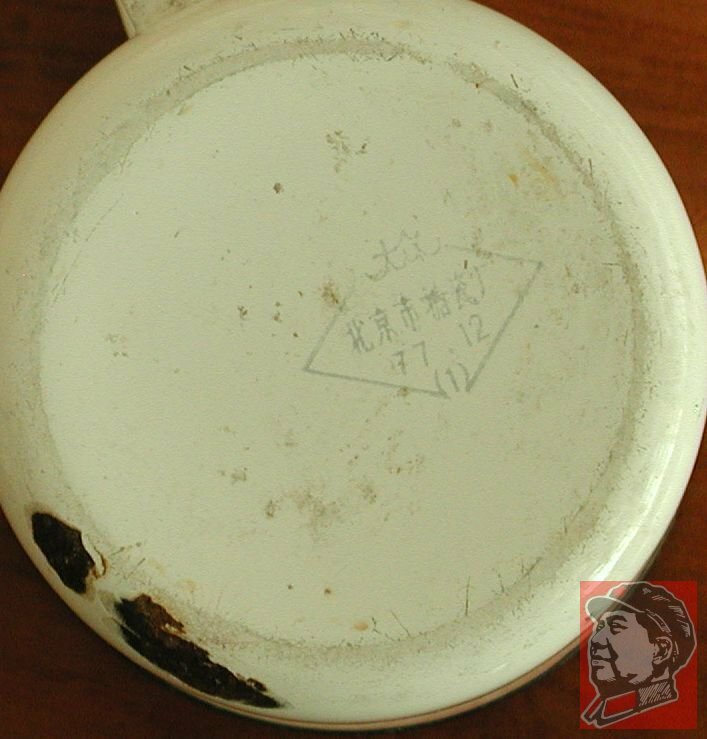 It was manufactured by the Beijing Ceramics Factory in December 1977.